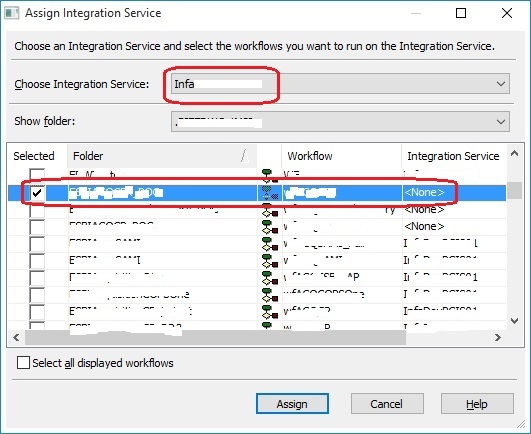 Informatica – ERROR: Workflow [FOLDER_NAME:WORKFLOW_NAME[version 1]] is disabled. 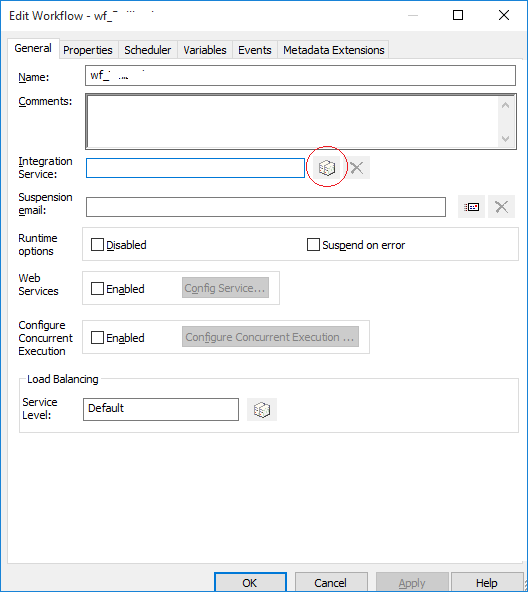 Please check the Integration Service log for more information. ERROR: Workflow [FOLDER_NAME:WORKFLOW_NAME[version 1]] is disabled. 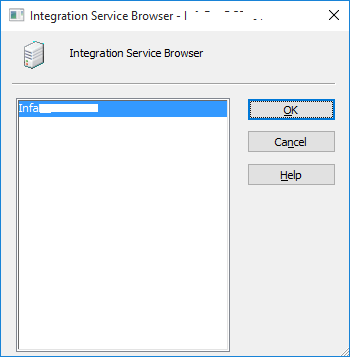 Please check the Integration Service log for more information. The Workflow was not getting kicked off and there was nothing else showing up in the logs other than this error. I did a bit of research and as the error message indicates I found that one setting might be enabled that can disable the Workflow. 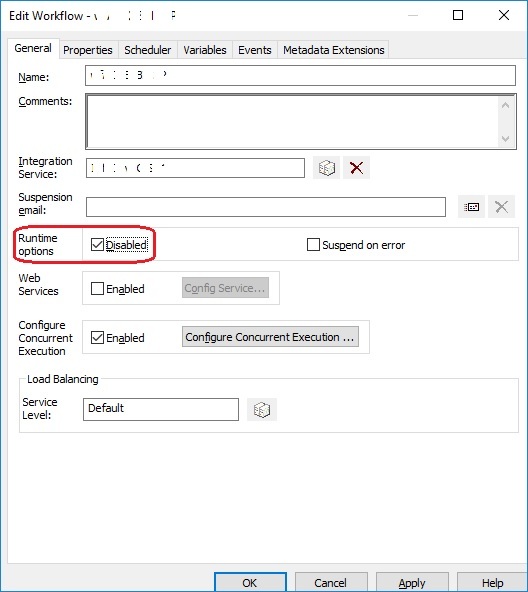 … here as you can see that the setting “Runtime Options, Disabled” is checked/enabled (circled, above). This means that the Workflow is currently in disabled state. Just un-check this option and save it by clicking on the Apply button. Now re-run the Workflow and it should run now without any issues.